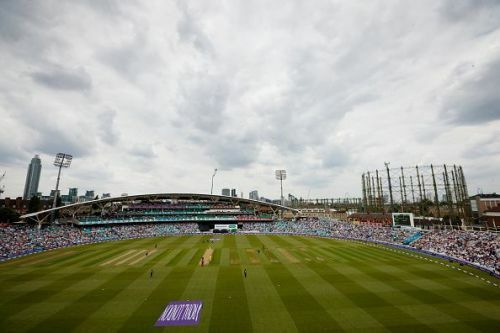 As the sun shone gloriously that Sunday over the Kennington Oval, as seen through national television and as the aroma of mom's special biryani wafted across to the living room, I could feel myself, just like crores of Indians all over the world either glued to their television sets or present in the stadium itself might have had, filling up with a surge of confidence. India had marched onto a second successive Champions Trophy finals, and they had done that as authoritatively as possible, crushing almost every opponent that came their way, including neighbours and arch-rivals Pakistan, who they were facing once again in the game that mattered. India had won the previous edition, and it was just one more game that lay between them and successfully defending the title. 124 runs (against Pakistan - that too by D/L method), 8 wickets (against South Africa), 9 wickets (against Bangladesh) - these were the Indian victory margins as the tournament shrunk little by little, eliminating every other team apart from the finalists eventually. True, we had lost to Sri Lanka by 7 wickets in another game, but that really didn't matter much in the overall scheme of things. Having an eye for statistics, my eyes naturally went to head-to-head records and the like. The overall head-to-head record between the two teams in the Champions Trophy was 2-2, and across all ICC events including World Cups, the record was staggering, at 8-2 in favour of Indians. Easy win was in sight. How big a surprise was everyone in for, as seven hours later, Pakistan walked home with their first ever Champions trophy win, trumping India with a huge margin of 180 runs. A famous, joyous, monumental win for Pakistan, making a mockery of their underdog billing. Having benefited from an early slice of luck, when Fakhar Zaman was caught behind off a no-ball, Pakistan did not look back till they had whizzed past the finish line in style. Zaman, playing only his fourth ODI, led the charge with a free-spirited, brutal, and at times agricultural, maiden hundred that laid the platform for a total of 338. And it was Zaman, of all people. Honestly, I can't remember another instance either before or after this, where the guy showed even half of such capability. With Azhar Ali and Babar Azam giving Zaman the necessary support, the Pakistan score grew steadily. Thus, supplemented exceedingly well by Mohammad Hafeez' exploits in the fag end of the innings, resulted in Pakistan posting 338/4 in the scoreboard, a humongous total for a final. Even if the score was an indication that the game was half-lost, we were not to lose hope. But it looked like the Indian batsmen had other plans. Right from the third ball of the innings, when Rohit Sharma was trapped plumb in front of the wicket off a Mohammad Amir delivery, the downfall had begun. Amir completed the top-order damage by ripping out India's vaunted front three also including Dhawan and Kohli, in a searing and incisive opening spell. Hasan Ali joined the party soon, claiming his fourth three-for in as many successive matches, as India's middle order fragility was exposed brilliantly. This was Pakistan at their best, and even a dazzling 76 by Hardik Pandya could not spoil their party. Just like we couldn't defend our 2011 World Cup, there went our 2013 Champions Trophy as well. A host of records were also broken, Hasan Ali becoming the first person to complete four successive three-fors, the 180-run margin becoming the largest margin of victory/defeat in an ICC final, and so on. Underdog stories have always impressed us. Eighth-ranked and India-romped, living to inspire internet lampoons for three weeks in a row, Pakistan were now standing at cricket's zenith, with an ICC title at the cost of their arch-rivals. Despite rooting for the losing side, one could not help but marvel - at the side that hadn't lost even as much as a nerve, despite being the laughing stock of cricket-crazy netizens all across the globe. Irrespective of nationality and faiths, we all started hoping that this Sarfraz-era in Pakistan Cricket flourished in the sport as a whole. Exactly a year later, I am sitting at a desk and typing away about one of the most saddening games I had seen in recent times, when one year ago I wouldn't even have imagined doing that. The above-mentioned Sarfraz-era also didn't really flourish, having had its own share of ups and downs. Indian cricket, meanwhile, looks like they have resurrected themselves from the loss, with a long bout of wins and more wins, looking well set ahead of the 2019 World Cup. However, it's too early to say anything in that regard - it is not unlike India to exhibit a downfall, and it is not unlike Pakistan to show their trademark unpredictability and go on to win the coveted prize either.